This blog was compensated by #CollectiveBias and its advertiser. All opinions, pictures, and thoughts about #BringingInnovation are my own. I love a good thunderstorm, don’t you? Not one that does a lot of damage and hurts people of course but one that gives some good thunder boomers and rain is simply a joy for this Kansas girl’s heart. This is a screenshot from a local TV station of storms we had last week. Scary and exhilarating all at the same time! That said, growing up in Kansas and then living in Oklahoma and now Arkansas I’ve seen my fair share of really dangerous weather and know how vital it is to be prepared. I think that living in our country’s heartland has also shown me how important God’s creation is and I think it’s important to protect that. How cool is it that we now have ways to be prepared but also be a little bit more environmentally conscious at the same time? Being prepared for storms isn’t just a mental state of mind. It’s about having the plans and supplies you might need in place so you don’t have to worry as much when the storm clouds start rolling in. 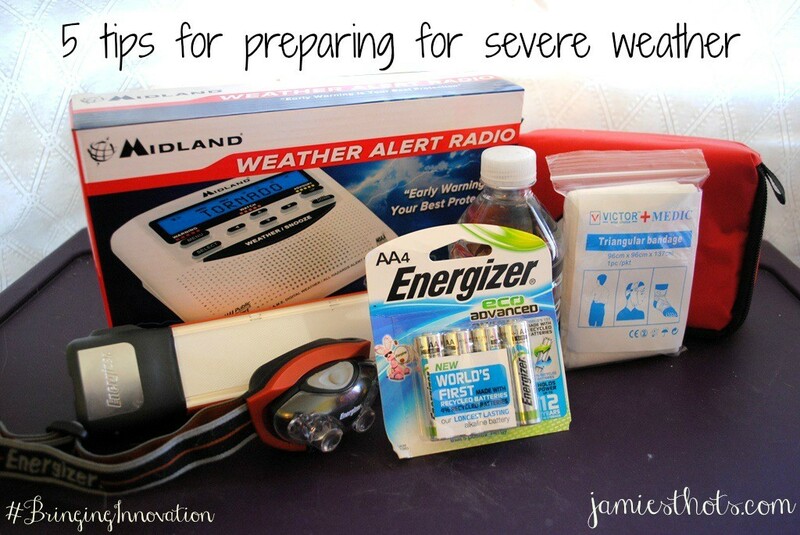 I have 5 things I try to do to make sure I’m better prepared for the storm season each year. These will of course be tailored to my family, but I know you can create your own plan that works for your family. Let’s be safe and enjoy the thunder boomers together! 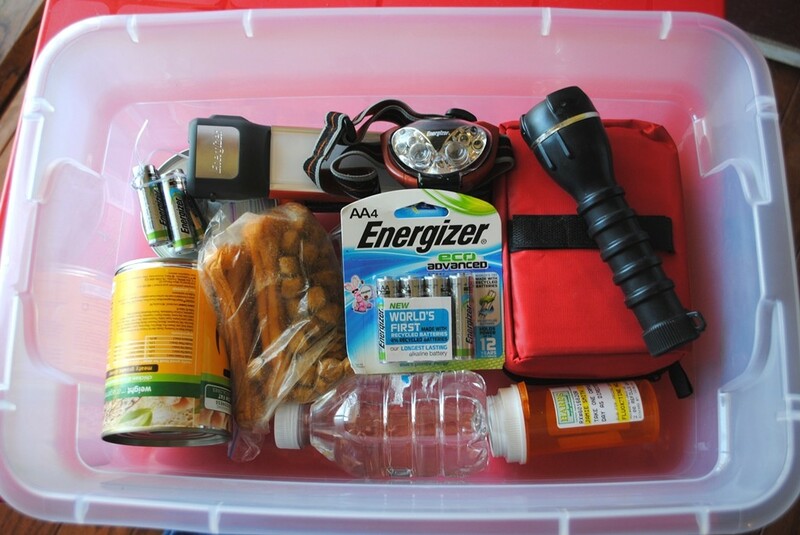 Flashlights are vital for any preparedness kit. I suggest packing them very last so that they are on top when you open the kit. That way, you aren’t rummaging in the dark when the lights go out. We have small flashlights for each person, a head lamp that is great for anyone who might struggle with holding a flashlight (like a disabled person or a child), and a light that can work as either a flashlight or a whole room light. Don’t you hate it when you try to use your flashlight and the batteries are dead? You need extra batteries. 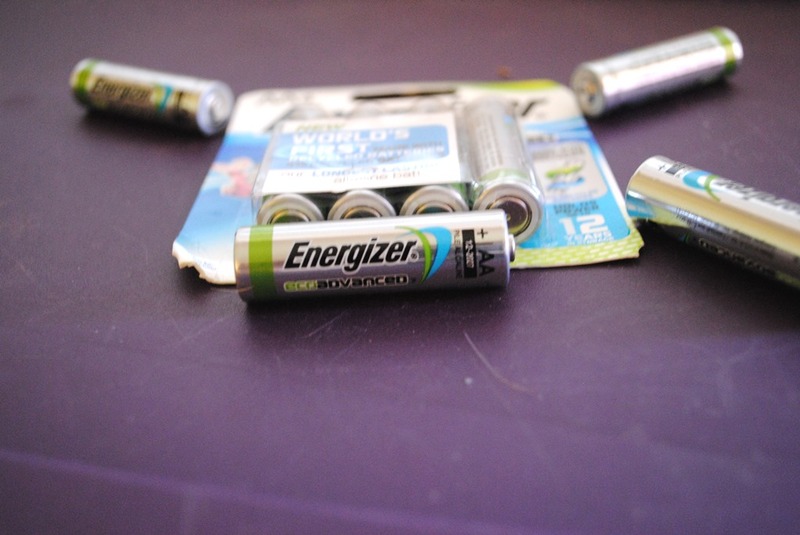 We’re trying out these new EcoAdvanced batteries from Energizer. They are the first battery on the market to use recycled batteries and materials and are being called Energizer’s longest-lasting alkaline battery. We bought AA but they are also available in AAA. 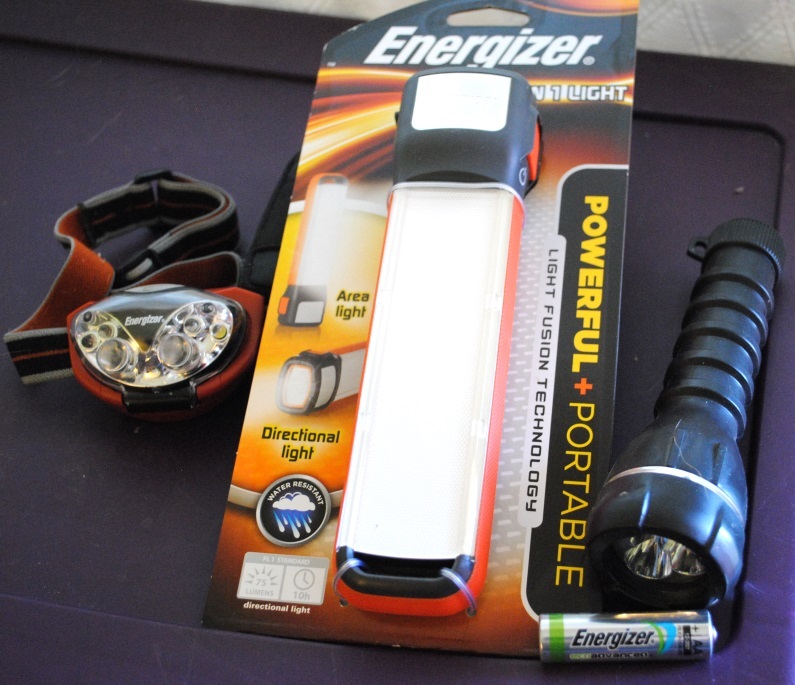 (One tip: Try to make sure all your flashlights use the same size battery so you are only buying one replacement kind). I love how we are able to use a new product that literally takes something used and makes it new. Oh, and these are supposed to hold up to 12 years in storage. How many batteries do that? I don’t know of any. You can learn more about the #BringingInnovation campaign here. You can also follow Energizer on Facebook, Twitter, and Instagram. 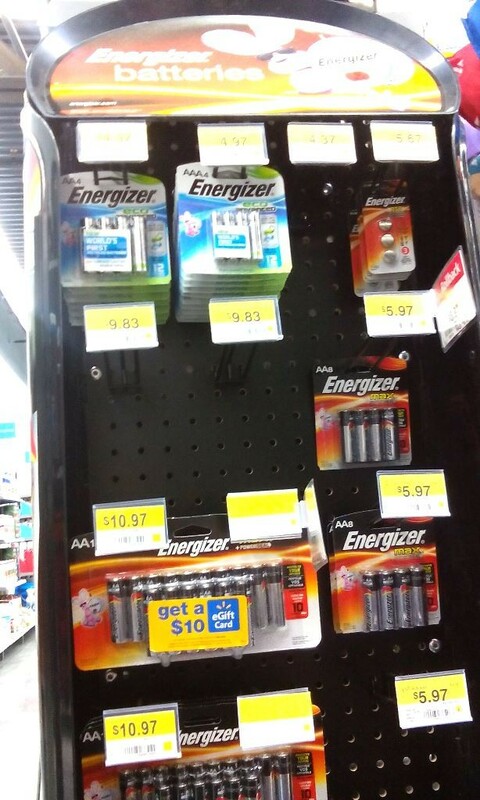 These EcoAdvanced batteries are available anywhere that Walmart sells batteries. I found mine in the camping section in an Energizer end cap. 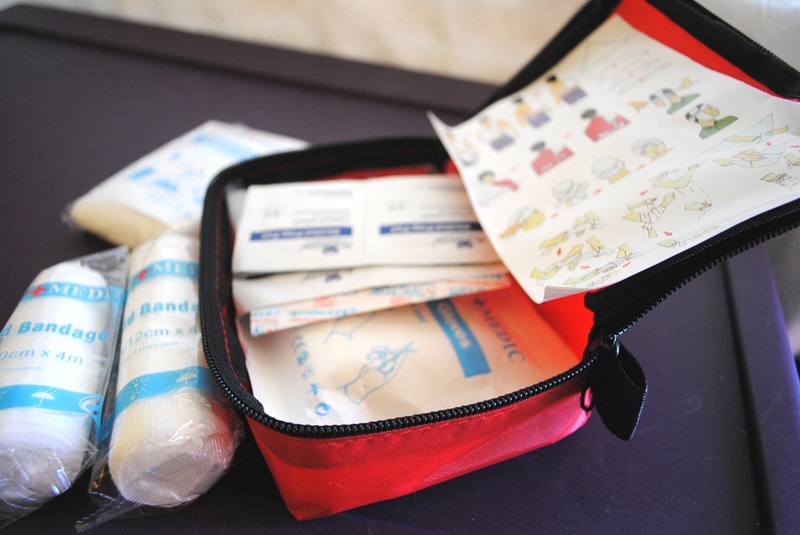 You need a first-aid kit that you either create or purchase as a kit. I have an easy kit. Also grab your medicines that you take on a regular basis. With insurance being the way that it is, you can’t easily get spare meds so I would recommend getting your medications together in a bag when you first learn there might be bad weather in your area. That makes it easy to grab. You also need food and water for the whole family. 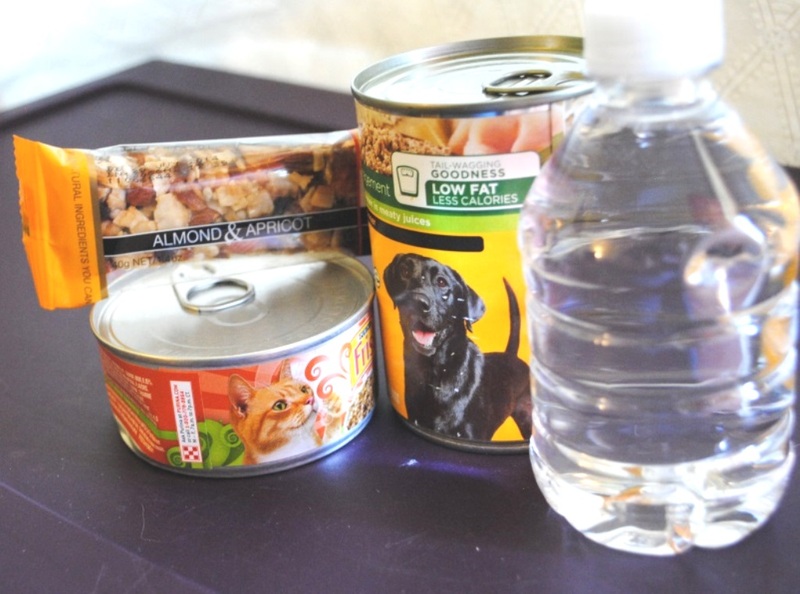 If you have pets, I suggest canned food because it has more moisture and is easier to store in the cans. 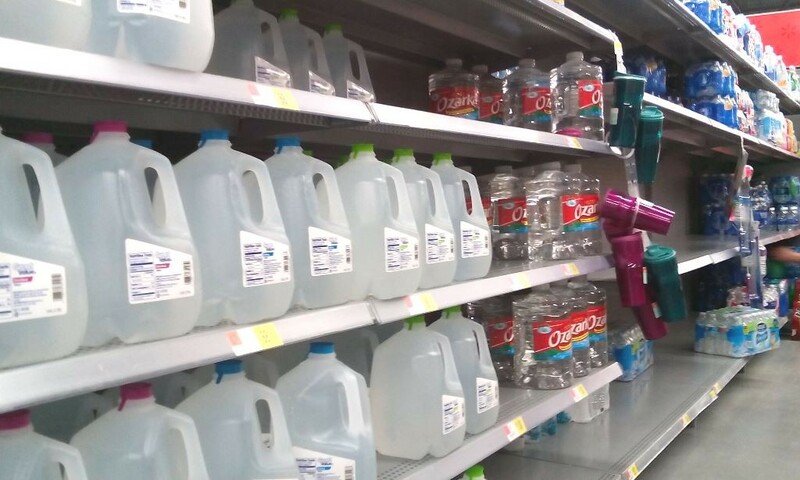 You have multiple options when it comes to storing water. The big jugs make up less plastic waste but would require you to have cups. We prefer the individual bottled water and just save the bottles for the recycling bin later. Make sure to have some kind of drinking method for your pets! You also need fun stuff to do that distracts from the waiting out the storm. 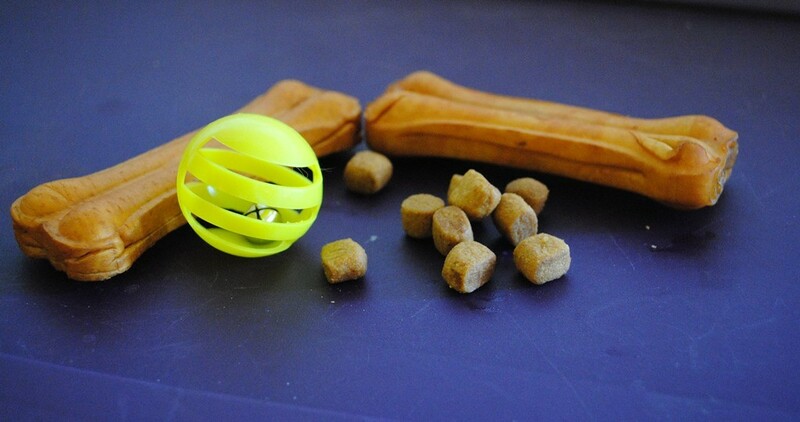 For my pets, I choose treats and toys. For children, I suggest something non-electronic (the batteries will die). Perhaps play word games or tell stories like you would around the camp fire. For us adults, we need to remember to stay off our cell phones as much as possible (I know, tough for Trivia Crack game addicts). 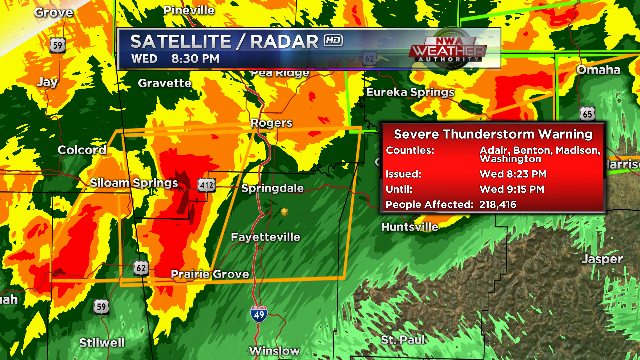 That wears down the battery and you need your cell phone for emergencies and to track storms. There’s two ways that you can store your kit. You can do what I did which is to get one big plastic (I suggest clear) container. 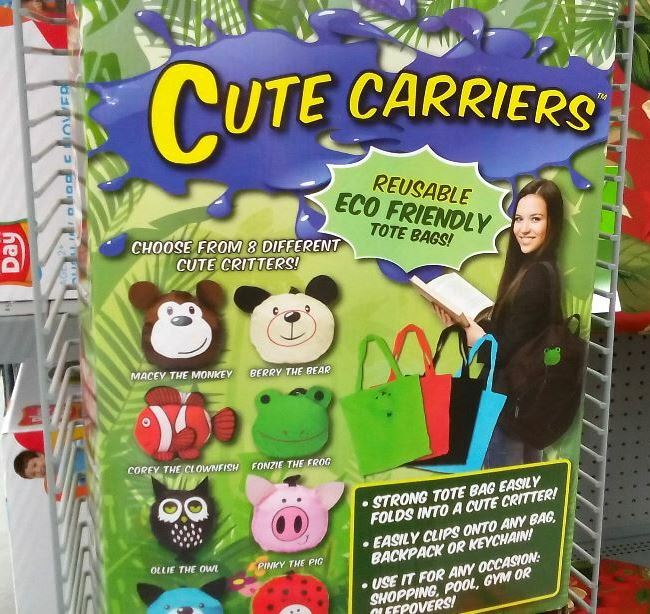 Or, you can purchase individual cute recyclable bags so each child/person has their own individual kit. 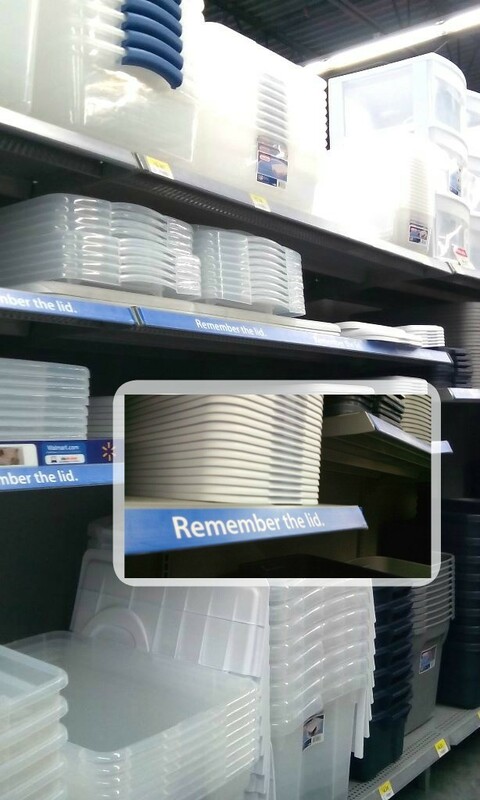 I found my plastic container in the home decor section. I recommend taking everything out of their packaging when creating your kit. For one, this makes it easier when you’re trying to use them in the dark. But it also gives you a chance to recycle all that packaging. 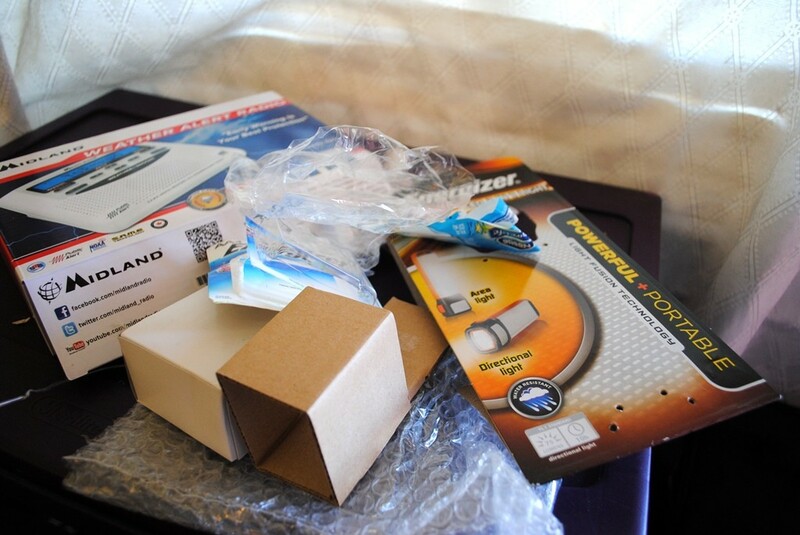 This pile of recyclable packaging materials came from just THREE items. If you take items out of their packaging while making your kit you are making life easier and also giving yourself the chance to recycle. Another way you can deal with all the packaging is to repurpose it. I needed a way to store my loose batteries so I used a twist-tie from the big flashlight packaging. Voila! This may sound obvious, but be aware of the weather. By be aware, I don’t mean freak out. Social media has a tendency to freak out and don’t do that. I strongly recommend signing up for your local weather alerts and getting a news or weather app on your smartphone if you have one. Also, get yourself one of these. I finally invested in one and am very glad. It’s loud when it goes off but considering we don’t have a TV or tornado sirens in our home, I’m very glad to have a weather alert radio. 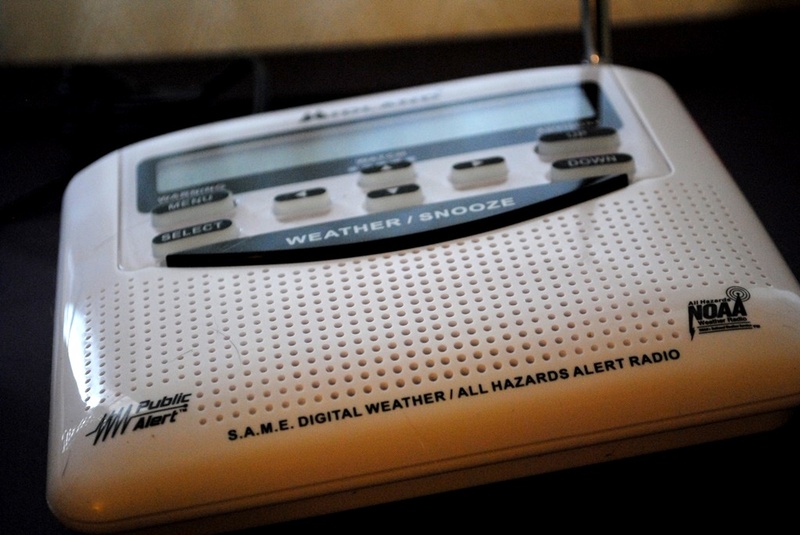 Having a weather alert radio gives me peace of mind knowing that I will be alerted to impending bad weather. And guess what? It runs on either electric or AA batteries. 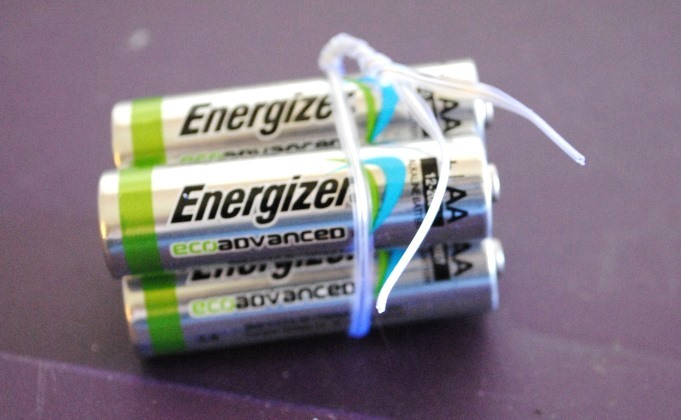 Another use for those EcoAdvanced Energizer batteries. I admit I get both annoyed and amused by people who move into my area and don’t know the difference between a watch and a warning. They here “severe storm” or “tornado” and lose it. There’s a huge difference between the two! Educate yourself on the different kinds of precipitation and what each kind of advisory means (we tend to get a lot of strong storm advisories because the storm is bad but doesn’t fall under “severe” criteria). 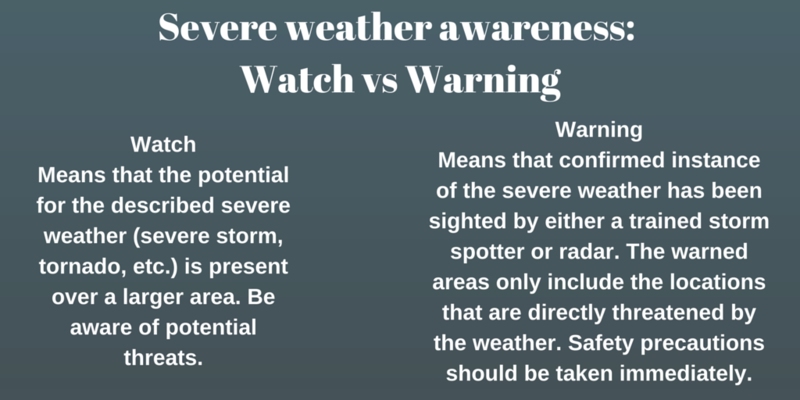 This graphic I created is a good general guide to the difference between watches and warnings. Also consider taking a free storm spotter training class. You can find out more from the National Weather Service for your area. I think this step is more important if you have children but we grown-ups need practice too. At least think through the plan. If your safe place is in the bathroom, is the bathroom full of stuff that could get in the way? That needs to be cleaned out ahead of time not when you’re trying to take cover. I don’t have human kids but when I was a babysitter for many years I always tried to make storm safety a fun game instead of something to be fearful of. That helps keep things calm! One way that I do “practice” is always making sure I have easy access to pet leashes and carriers when John is away during storm season. One thing that can do damage to your home is branches from overgrown trees. I suggest contacting someone now to making sure that your trees are trimmed and clear of power lines and your house. Also, make sure you have backup batteries in all your clocks (including your clock radios so you don’t oversleep!). 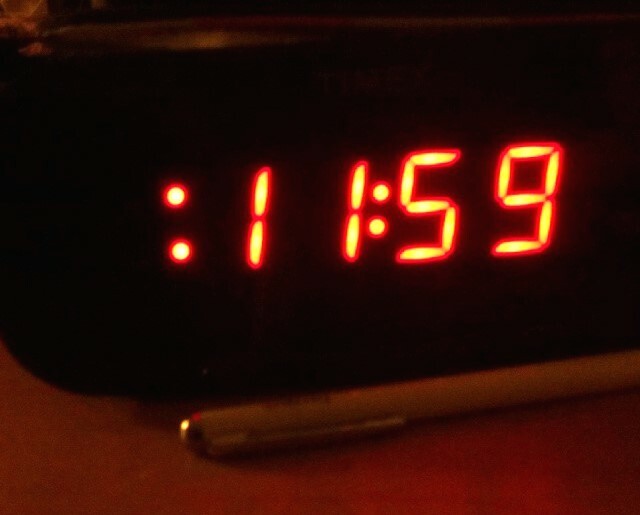 What do all the indicators on your clock radio mean? Usually this many lights means your battery backup needs to be replaced. Don’t oversleep. Get batteries now. So how do you prepare for storms? Do you they excite you or scare you (or both)? Also, don’t forget to participate in this giveaway!